The green skinned thorny adventurer is back this time, the fate of an entire civilization is at stake, only McCoy can save them from an impending doom. The story starts with McCoy hunting for treasure in a temple, while he grabs a shiny trophy a mysterious girl arrive at the scene and snatches the trophy from his hand, as the trophy is lifted, the temple’s built in defense gets activated which starts attacking them, while escaping the temple McCoy tricks the girl and runs with the trophy but the floor collapses sending McCoy to a certain doom, somehow the mysterious girl saves McCoy by flying in the air with her colorful wings. After arriving at a safe place the girl takes the trophy from his hand and breaks it to pieces telling him it is fake. If he wants the real treasure it is in her village but her village is under attack by an evil cult. She needs McCoy’s help to retrieve it, while explaining her side of story they suddenly get attacked by a group of enemies and the girl gets kidnapped. Next day McCoy wakes up from his unconsciousness, and the spirit of cactus tells him to save the girl as she helped McCoy previously from dying. So McCoy starts another adventure. 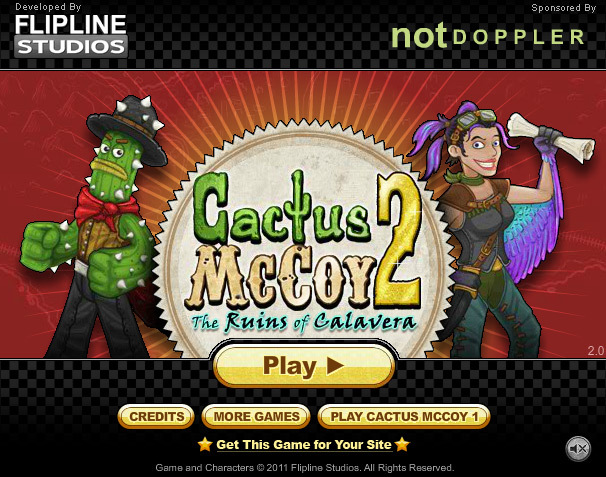 Cactus McCoy 2 is an exciting and addicting game to play, the game provides you with action and adventure along with a wonderful story in it. 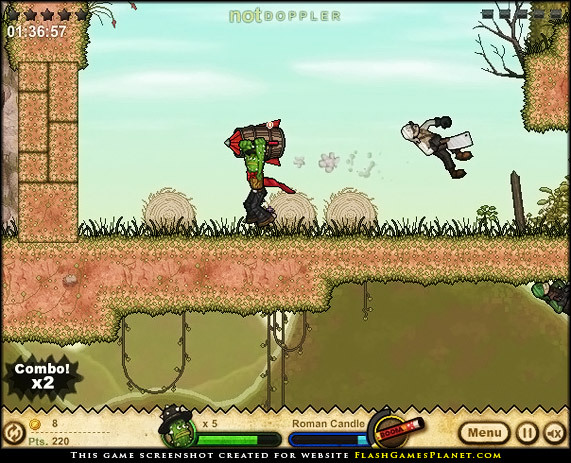 The combat system of the game is really interesting and enjoyable to play around. 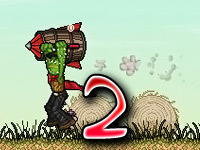 The game gives you a variety of weapons to choose from, each weapon has its own unique feature butbeware as you cannot infinitely swing or throw weapons at enemies. 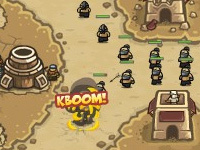 Every weapon has durability or ammo and if the weapon gets depleted, the weapon is destroyed. The stages give a nice impression of a western themeas you will have to run from dusty canyons to old towns while fighting various types of enemy. 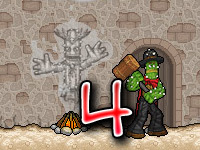 The enemies can cause a lot of nuisance in your journey so you need to upgrade each of your skill if you want to soften your adventure. There are various upgrades to pick up in the game, each upgrade you purchase gives McCoy massive advantages against those enemies. 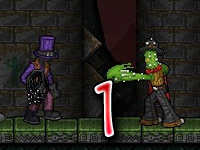 Your score is increased as you kill an enemy and they drop coinsupon their death which you may collect and use later on. You can increase the score by pulling out nice combos on an enemy which will make them drop more coins. What is the point of playing an adventure game if there is no secret treasure to collect in this game? Well there are some hidden treasures which you have to search around if you want a good score, and some of these treasurescan be quite tricky to find. 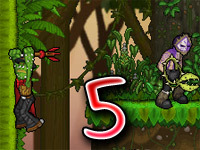 The game also rates your score by judging how well you have performed in each stage. There are plenty of achievement to accomplish as well and some offer a funny gesture, for example you will be asked to kill certain enemies with rotten eggs. So the game, not only gives you action, but also laughter along the way as well.